Successfully Added Portable Anti Camera Device Jammer to your Shopping Cart. 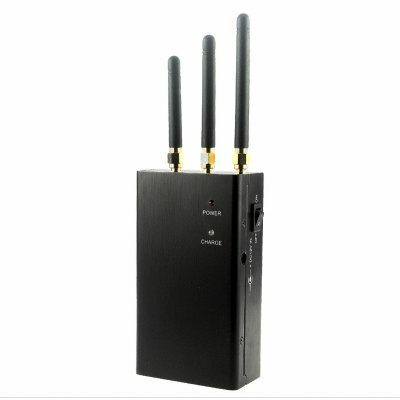 Portable Anti-device jammer, designed to block out illegal and wanted wireless cameras use. With it's powerful 900mW radio wave transmission jammer, this incredible gadget will effortlessly and completely disable almost all types of existing cameras working at wireless video, wireless LAN and Bluetooth bands with an effective distance of up to 20 meters away. Incredibly effective for protecting your privacy in today's ever more Big Brother climate, this wireless camera jammer is compact enough to be easily concealed in a pocket, briefcase, purse or other small places nobody would expect. This is a great device to have to give you peace of mind. Using the built-in rechargeable Ni-MH batteries, you will be getting hours of anti coverage. Powerful jammer for wireless cameras. Ideal for those who value their privacy and to prevent intrusive filming.